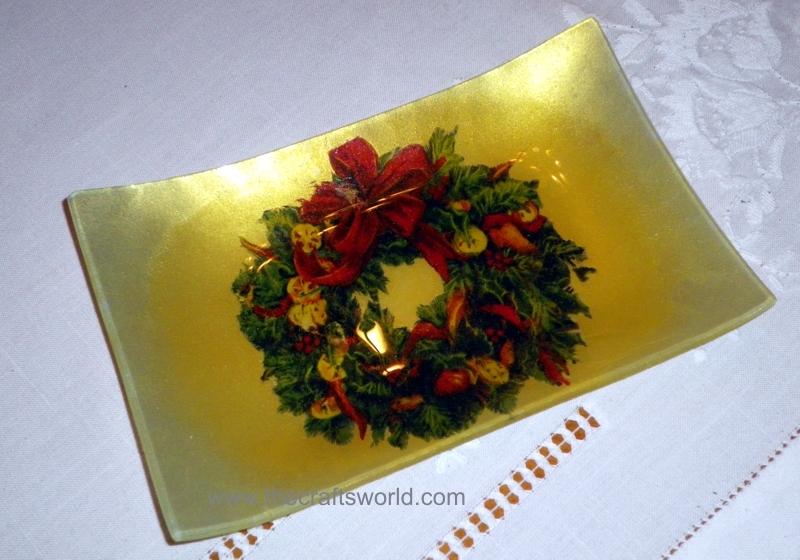 Clear glass platter decorated with a wreath decoupage paper. 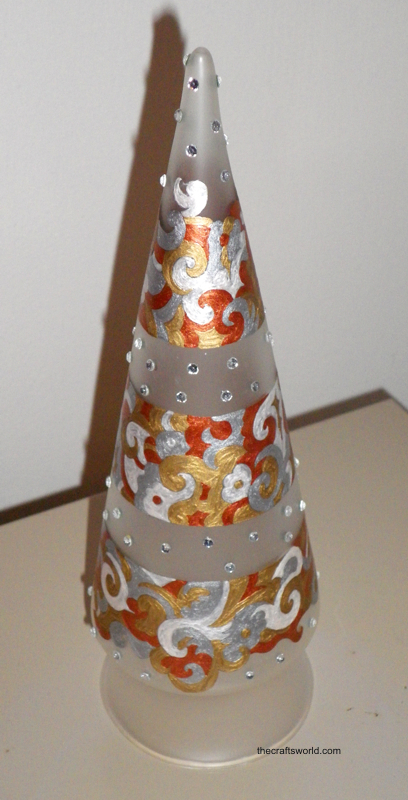 Hand-painted glass tree with metallic and pearl colours. 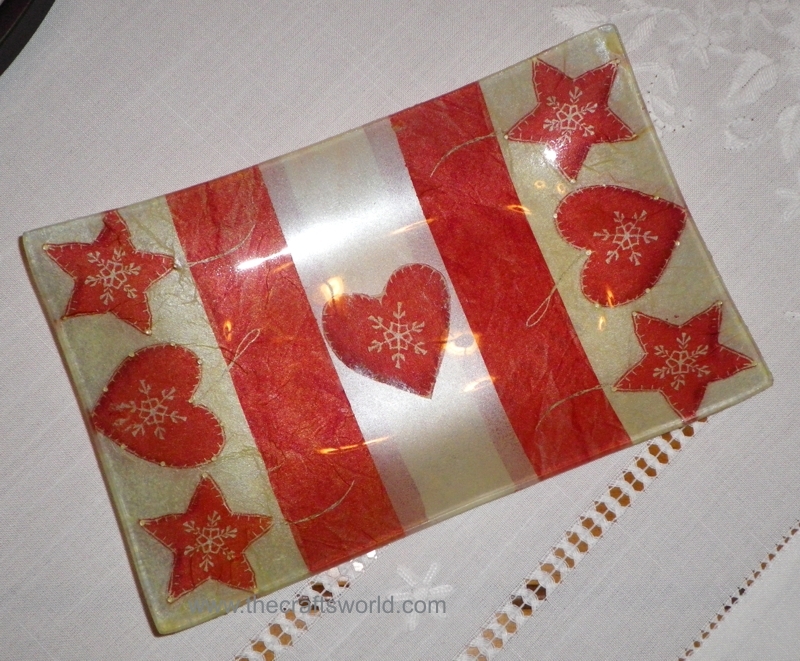 Clear glass platter decorated with paper napkin using decoupage technique. 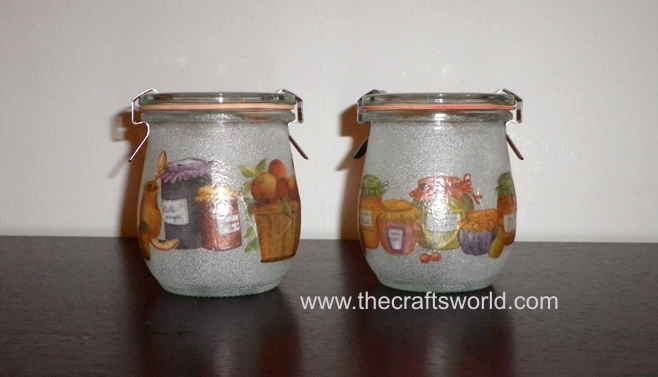 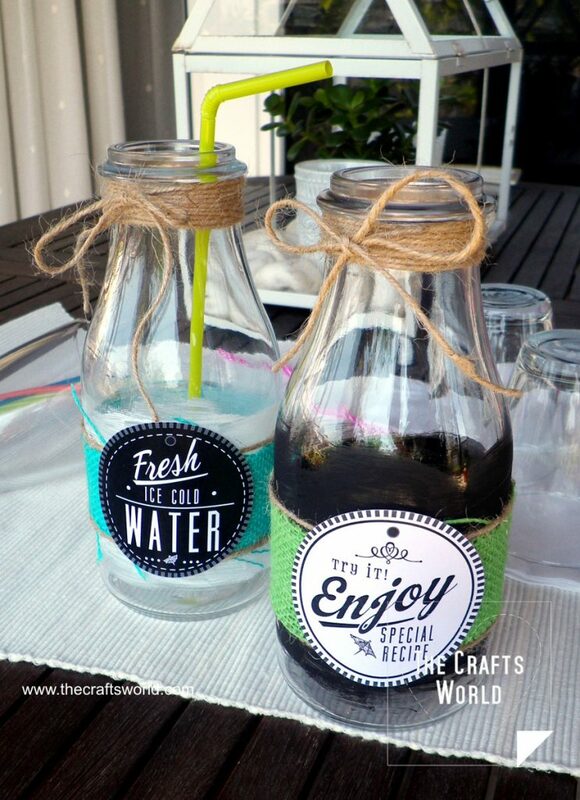 Small jars in different shapes decorated with decoupage techique and sandblasting colour. 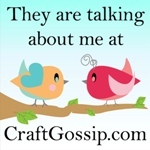 Varnished and baked, they can be warm washed. 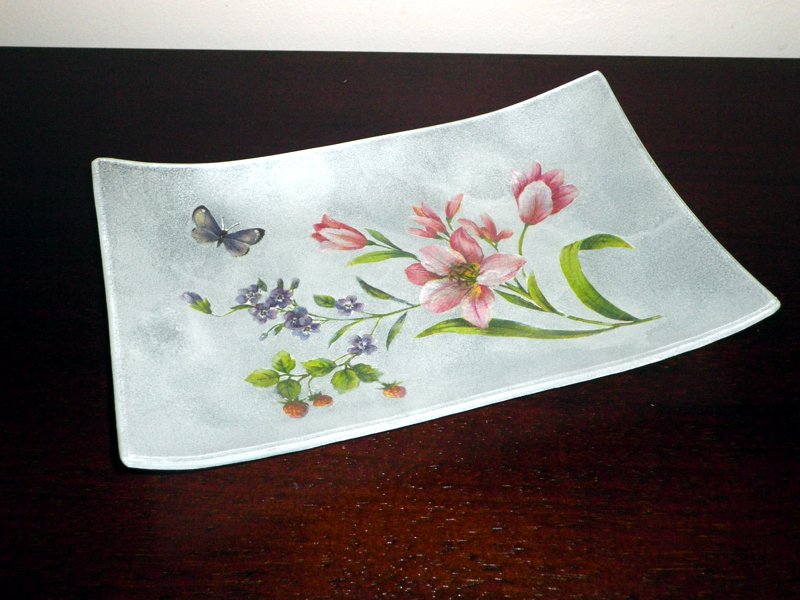 Glass plate decorated with flowers (decoupage) and sandblasting kind of paint. 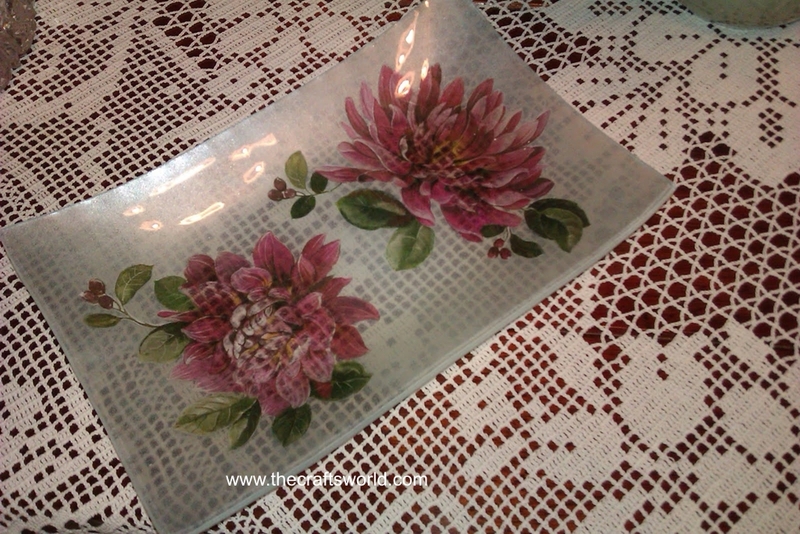 Glass plate decorated with dahlias (decoupage) and sandblasting kind of paint.